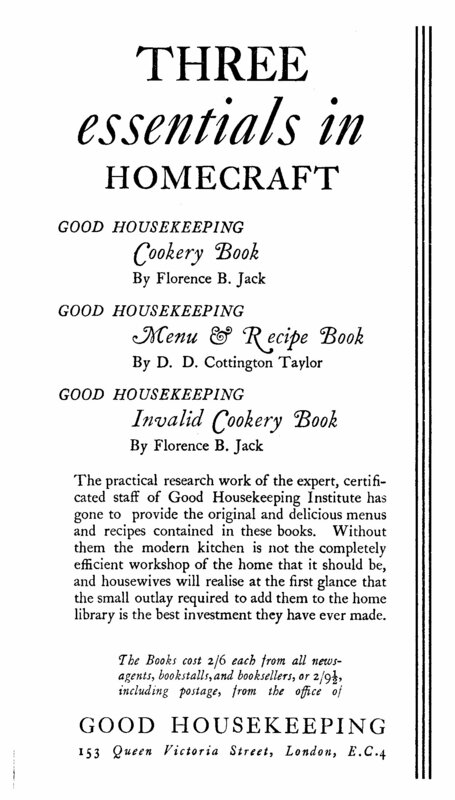 GOOD HOUSEKEEPING MAGAZINE. THE NATIONAL MAGAZINE CO. ,LTD. 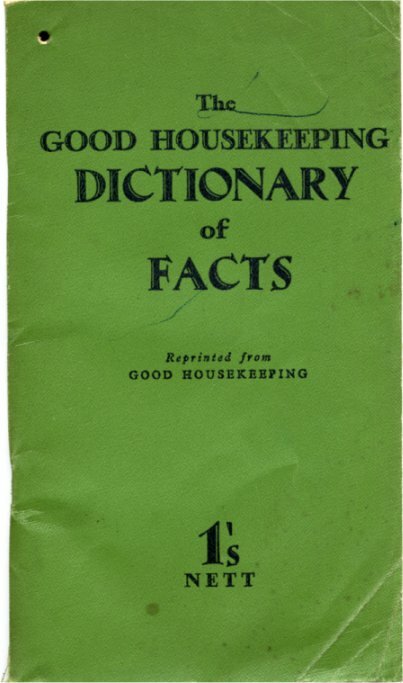 THIS book is the outcome of numerous requests from readers of " Good Housekeeping " who, finding the Housekeeper's Dictionary of Facts page a veritable treasure of household lore, have asked that the hints be collected and reprinted in a compact form. 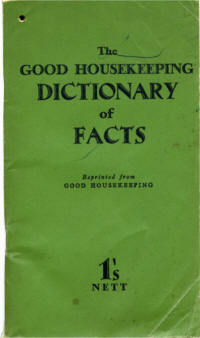 Specially designed for the convenience of the busy housewife, the book is pierced at one corner to enable it to be hung. 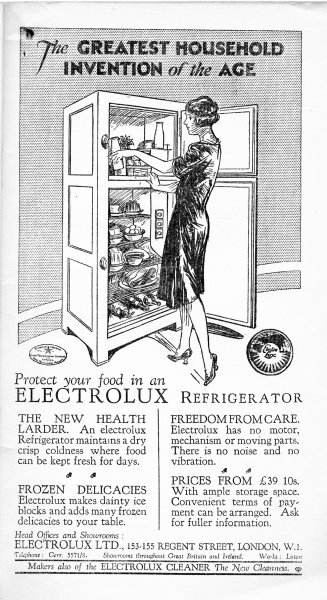 in the kitchen for quick reference, and is provided with an " everclean " American cloth cover from which stains can be quickly removed merely by a rub with a damp cloth. 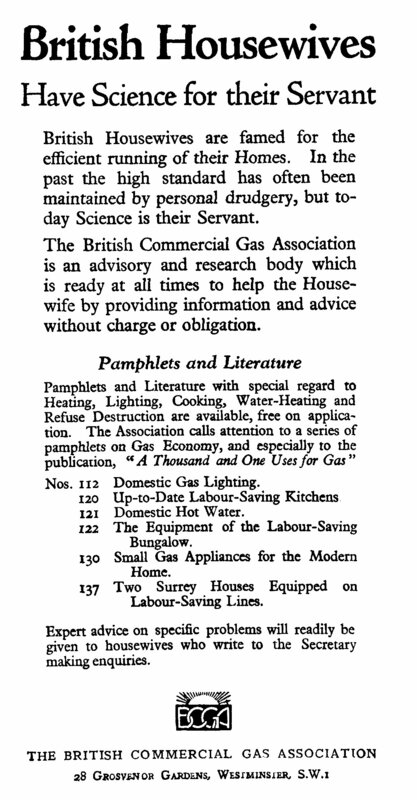 To assist the housewife further, the Facts have been classified alphabetically under various headings-Cookery, Laundrywork, including the Removal of Stains, Repairs and Renovations, General Cleaning, Household Recipes, Home Medicine, Nursery, Needlework-so that she can tell at a glance where to find the required information. 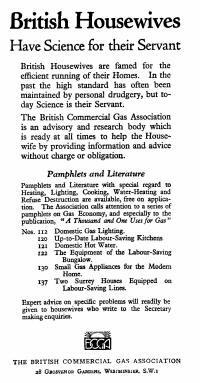 Effective methods for waging war on various household pests are to be found on pages 76-80. As we desire collaborators as well as readers, we have included a small section of blank pages at the end of the book, so that additional labour- and time-saving hints can be added as discovered. Always employ the least harmful methods first, and if not successful, then use the more drastic methods. 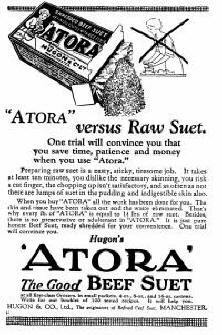 Cotton and linen are comparatively easy to deal with, but silk and wool require more careful treatment. 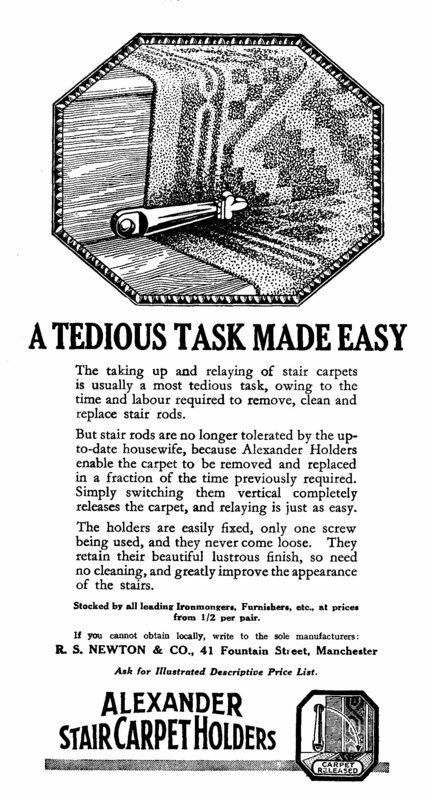 Unknown stains are not quite so easy to remove, as one or more methods may have to be tried before success is achieved. Scrape off any that can be removed, place a piece of blotting-paper underneath and above the stain, and press with a warm iron. The heat melts the wax and it is absorbed into the blotting-paper. With some pale and delicate fabrics it is better to spread French chalk over the stain before covering with the blotting-paper. Cod liver oil stains, not infrequently found on children's clothing, are often difficult to remove. It is advisable to treat the stain before it reaches the wash-tub, as after laundering it is very resistent and often impossible to remove. Place the affected part of the garment over a small saucer and pour over come carbon tetrachloride, allowing the material to remain in contact with the liquid and rubbing it well in with a piece of white muslin. Whilst the carbon tetrachloride still remains on the garment, wash, using plenty of warm soapy water and rubbing on a little hard soap if necessary. If any sign of the stain remains when the garment is dry, repeat the process. Coffee stains, like tea stains, can generally easily be removed in the ordinary process of washing and boiling. When coffee is spilt on a coloured dress, which is unsuitable for washing, the stain can usually be removed by treating with glycerine. The glycerine can be easily removed with alcohol or methylated spirit. Copying pencil stains on silk, cotton, or woollen fabric can generally be removed by soaking the fabric in methylated spirit. If necessary, lightly brush the stained part with a soft nail-brush, and rinse in a little clean methylated spirit. The green colouring matter or chlorophyll should first be dissolved in alcohol and then washed. Gravy stain is usually a mixture of grease and meat juices. Remove the grease as described below; should any mark still remain, sponge gently, using soapy water. Scrape off any surplus wax with a blunt knife, wash and boil in the ordinary way. Remove by dissolving it in a suitable solvent, such as benzol or petrol. Great care must be exercised in the use of these liquids, as they are extremely volatile, the vapour being highly inflammable. It should be remembered that the heat from an iron might be sufficient to cause ignition, and on this account it is advisable to - use such solvents in the open air. Moisten a clean piece of cloth and rub round and round the stain in circles, working from the outside to the centre. This prevents the greasy stain from spreading. Continue to rub until the moistened part is quite dry; in this way the grease is removed. It may happen that a grease solvent is not available; in that case rub on a little ammonia solution. Dilute by washing at once in cold water, soak the stain in sour milk, or add a little salt and lemon juice. The acid is often sufficient to remove the iron stain in the ink, the colouring matter comes out with washing and boiling. These stains are quickly removed by covering with a little salts of lemon and pouring on boiling water. A solution of oxalic acid in water may be used equally well, but should not. contain more than 1o per cent. acid. It is important to removej all trace of the acid from the fabric, and this can be done by rinsing in water and then placing the affected part in a solution of washing soda. It is often possible to remove ink stains from coloured materials by treating alternately with a solution of potassium permanganate and either hydrogen peroxide or oxalic acid. A few drops of each chemical should be applied by a glass rod, or a small piece of unpolished white wood, to the affected part. The permanganate should be used first, and allowed to remain on the fabric for a few seconds only. The material should then be rinsed in water and a few drops of either oxalic acid solution or hydrogen peroxide applied in order to remove the brown stain caused by the permanganate. It is usually found necessary to repeat the above process several times. When the stain is completely removed the material should be rinsed very thoroughly in several different waters in order to remove all traces of the chemicals. Although most coloured materials can be satisfactorily treated with the above-mentioned chemicals, the colour of others is affected, and it is therefore wise to test their effect on an odd piece of the material first. Most red ink stains can be removed by treating with a strong solution of borax. Blankets and sheets often get stained with iodine during an illness. This stain can be removed successfully if treated in the following way. Dissolve a piece of washing soda about the size of a walnut in an eggcupful of boiling water. Stretch the stained part of the blanket over a basin or saucer and brush in the soda solution until the stain disappears. Then wash thoroughly in warm soapy water, taking care to remove all trace of soda, for if allowed to remain in woollen goods, it would cause them to shrink. Although this simple remedy rarely fails, a very old and persistent stain might require the use of thiosulphate of soda, known to photographers as hypo, instead of common washing soda. Considerable difficulty is often experienced in removing marking ink, particularly if left for some time. The following treatment, however, is almost invariably found to be satisfactory. Dissolve � teaspoonful potassium permanganate in 1 pint of water. The stains should be soaked in this solution for a few seconds. The fabric must then be well rinsed in cold water, and the brown colour remaining removed with either a weak solution of sulphurous acid, oxalic acid or hydrogen peroxide. Completely remove the chemical by thorough rinsing, and repeat the process until the stains are removed. With certain types of marking ink-those which require the application of heat-a different process is necessary. First apply a little iodine solution, rinse, and remove the iodine stain with a solution of sodium thiosulphate. 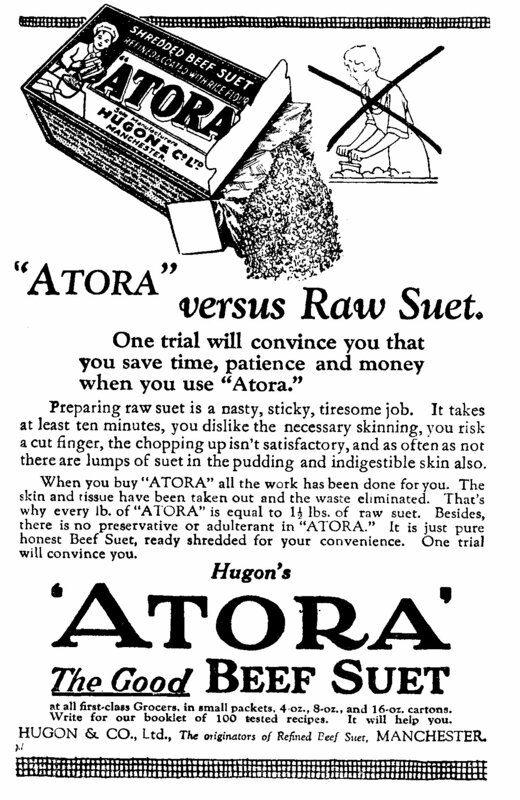 Cotton or linen articles should afterwards be boiled. If of long standing, this is extremely difficult to remove, as the growth of mould fixes itself so intimately in the fibres of the fabric. The safest method is to rub on a thick layer of soap and French chalk, moisten and bleach in the sun. Salt and lemon juice can be tried ; if both these methods are not successful, Javelle water must be used. PAINT AND VARNISH STAINS Apply turpentine or benzine. For dresses and other fine materials, a mixture of two parts methylated spirit to one part of turpentine is most satisfactory. Old paint stains are sometimes very difficult to get rid of, necessitating several successive applications of the remover. Avoid spreading the paint by confining the cleanser to the smallest area possible. Moisten a ring round the stain with benzine, place a piece of clean white muslin or cambric underneath, then apply benzine to the stain itself, rubbing very lightly. The benzine dissolves the oil and then soaks into the muslin. Great care must be exercised in using benzine as it is highly inflammable. For a particularly delicate garment, carbon tetrachloride, though dearer, is more satisfactory. These can usually be successfully removed by treating with benzol. In the case of white articles, these are usually removed satisfactorily during the ordinary process of washing. 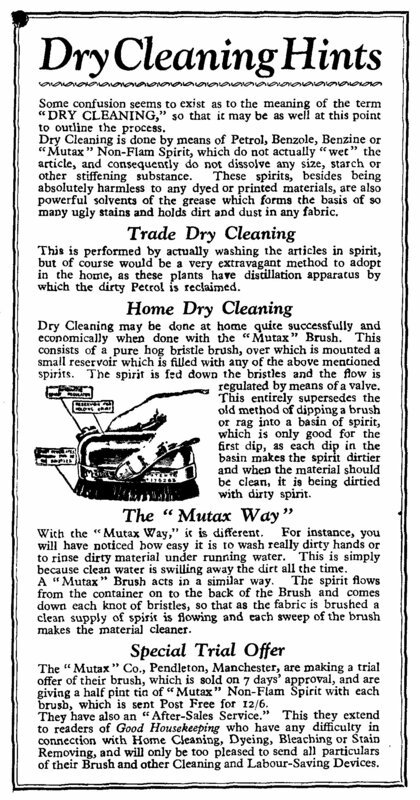 If the stains are old, however, the use of a little borax dissolved in water is advised. Methods which are sometimes successful are as follows: (a) Bleaching in sunlight, keeping the scorched part wet with soapy water, (b) Rubbing on powdered borax, (c) Soaking in ammonia, (d) Applying Javelle water. If badly scorched, however, no remedy will be found to be satisfactory, as the fibres are actually destroyed. The simplest methods should be tried first, and it is possible to remove many stains merely by treating with cold or hot water. If this is not successful and the article is white, bleaching agents may be used. For cotton or linen, bleaching powder or hydrogen peroxide may be used; for silk and wool, however, the use of bleaching powder should be avoided. If the stain proves still resistent, potassium permanganate solution followed by hydrogen peroxide or oxalic acid should be tried, following the directions given for the removal of marking ink stains. Stains on coloured fabrics are naturally more difficult to remove, and bleaching agents should not be used before a small piece of the material has been tested with the chemicals to ascertain whether the colour is affected. WINE AND FRUIT STAINS Wine and fruit stains are usually found on table linen and, being of an acid nature, borax often successfully removes them. Use the borax over a basin, pouring on boiling water. 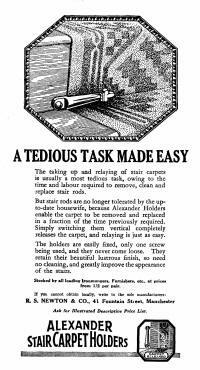 If the stains do not entirely come out with one treatment, repeat once or twice. Any slight remaining discoloration rarely fails to disappear after boiling. 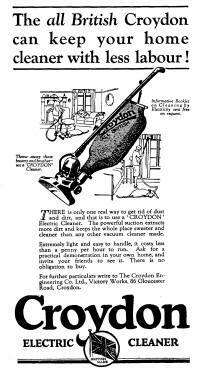 The most satisfactory laundry bag can be made from a yard of thirty-six-inch cretonne. Fold it lengthwise and shape it at the top to fit over a coat hanger. On the front side, cut a slit long enough to push the soiled clothes through, and bind it firmly. Then cut the back side of the bag long enough to enable you to turn it up at the bottom for a flap, which should be fastened on the front side with five large snap fasteners. With a bag made in this way, the bottom can be unsnapped and the laundry dropped out without removing the bag from the hook on the cupboard door. piece of wood the same width as the bag can be stitched firmly. A coat-hanger hook must be fixed to the centre of the wood to enable the peg-bag, when hanging out, to be placed on the line and moved easily along as required. To remove blue from an over-blued article is usually a fairly simple matter. The most common laundry blue is ultramarine. This blue is readily decomposed by dilute acids, and consequently may easily be removed by steeping the garment for a short time in vinegar and water. The soluble or liquid blues do not usually respond to such simple treatment. WASHING ROLLER BLINDS These can be washed without removal from the roller. If possible place a wooden table out of doors, spread the blind over it, and dust lightly to remove surface dirt. Prepare a basin of warm soapy water in which a tablespoonful of borax has been dissolved, moisten the blind and scrub gently, using a soft nail brush. Rinse with plenty of warm water, turn the blind and wash and rinse the other side in the same way. Squeeze out as much water as possible by rubbing a clean towel over the blind. Leave it to dry on the table; when three-parts dry, iron. If the blind is required to be stiffened and glazed it must be removed from the roller and washed in the ordinary way, starched in thick boiling-water starch, dried, ironed and glazed with a glossing iron. There is less chance of roller blinds becoming stretched out of shape if they are not removed from their rollers. When washing coloured blinds, omit borax. and bleached in sunlight. A teaspoonful added to boiling-water starch prevents the iron sticking, and gives a gloss. When valuable buttons are used on washing blouses and dresses, they should be removed each time before sending the articles to the wash. Quite a good plan is to sew through the holes in the buttons alone, in the same manner as one does to fasten them to the dress; then take small safety pins and pin through the material, catching the thread on the button. The pins do not show, nor does the button come off. This is not only a great labour-saving device, but it saves the buttons as well, and enables one to use the same buttons on various dresses. Shake the covers or curtains to remove all loose dust, have ready plenty of warm soapy water. Avoid the use of soap powders or strong soap; a neutral one should be selected. Wash the chintz articles one at a time, by hand. or with a suction washer. The dirt is easily removed, as it is l the surface. Rinse in warm water to remove the soap ; lastly, in cold water to set the colour. When partly dry, fold and leave for a few hours. Use thick boiling water starch. When lukewarm, put in the chintz, wring out, and hang up until dry enough to iron. Use a hot heavy iron, and if using a sad iron rub it with a little beeswax. Iron on the right side of the material, taking special care to dry the seams thoroughly. To gloss chintz, a plain board of some hard wood is required; if this is not available, remove the felt from under the ironing sheet and use the table for a glossing board. To obtain a good gloss, great heat, heavy pressure, slight moisture, and a hard surface are essential. Glossing irons are curved at the heel and toe, and to get an even gloss press the iron heavily forward on the heel and lightly back on the toe. Air thoroughly, and roll up; do not fold, or the appearance will be spoilt. Cretonne covers and hangings that, are not required very stiff may be passed through water in which rice has been boiled. The quantity of starch present in the rice-water is sufficient to give the desired stiffness. A drier for baby clothes, stockings, and other small articles can be easily and cheaply made at home with four or five feet of ordinary wire-netting one yard wide. Simply bend some of the cut wires at one end, fasten them to the mesh at the other end, taking care to turn under all edges, and you will have a hollow cylinder which will only require two coats of paint to make an excellent airer and drier. It is most essential to see that the cut pieces of wire are completely covered with paint, as by this means all iron-mould or rust stain will be obviated. Being very light and easily moved, the airer can be placed near a fire or radiator and turned frequently; consequently the articles placed on it are quickly dried. Anyone whose kitchen ceiling is too low to take a drying rack may find this useful: Three ring-hooks may be screwed about 4 ft. apart in each of the ceiling beams. (The beams are not always visible, but a handy an will soon trace them.) When you wish to dry clothes, r strong string through the rings in various directions, thus getting a long line. Whether of copper or galvanised iron, these should be kept spotlessly clean and free from soap curd. In hard-water districts this is not always easy. Scouring with any of the well-known friction powders removes any deposit and frees the metal from tarnish, but if scoured too frequently the zinc wears off, exposing the iron. It is therefore an excellent plan to scrub the copper well with the remaining hot soapsuds to which a little ammonia has been added. Dry thoroughly before closing the lid. Copper vessels should always be kept clean from oxidisation, which spoils the linen. To protect linen that has to be boiled in a rough or rusty boiler with a rim, a boiling-bag is excellent. Procure a child's ordinary wooden hoop with the circumference slightly larger than the top edge of boiler. Cut a circle of linen or calico approximately the same size as the bottom of the boiler, and a band of the same material of sufficient length to reach round the hoop. The band should be cut as deep as the boiler. Gather the lower edge of band into the circle; the top edge should then be attached to the hoop. This makes a rigid and very convenient lining. A NOVEL CLOTHES-LINE POST To avoid the unsightly appearance of a permanent post in the garden to take the clothes-line, which may be required for a few hours only each week, a 1o-foot length of wrought-iron pipe, I inch in diameter, may be used. This is inserted in a piece of pipe 1� inches in diameter placed about 2 feet deep into the ground to form a socket. The post may be put away out of sight when not in use. The two lengths of pipe, 1o feet of 1 inch and 2 feet of 1� inch, may be bought at any gas or hot-water engineer's shop, and by plugging the top of the long length with wood, a strong hook or ring can be driven in to which to attach the line. When digging the hole in the ground for the socket piece, it should be kept as small as possible, the bottom of the pipe must rest on a brick or stone, and other stones should be well rammed against the pipe as the hole is filled in, to prevent it working loose. A washing-day help in the form of a clothes sprinkler can easily be made at home. Take a wine bottle fitted with an ordinary cork, in the centre of which make two small holes. 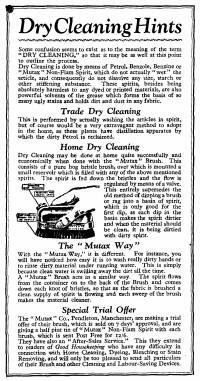 When the bottle is filled with water it can then be used for " damping down" clothes prior to ironing, thus avoiding that haphazard alternation of dampness and dryness which is the result of using one's fingers as a watering medium. Eiderdowns which have lost their first freshness can be washed satisfactorily at home. Prepare plenty of warm soapy water and wash by kneading and squeezing. 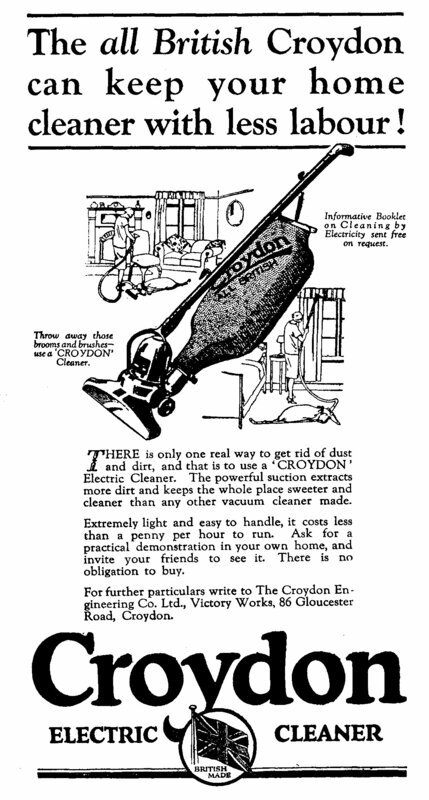 The use of a longhandled vacuum washer and a dolly tub is recommended. After rinsing thoroughly they may safely be put through a rubber wringer, and should then be shaken vigorously. If possible, choose a windy day and dry out of doors. Continue to shake frequently during and after drying to separate the down. Thorough airing is essential, during which the eiderdown should again be shaken in front of the fire. If the sateen cover looks creased it may be smoothed very lightly with a warm iron before it is quite dry. Use a piece of fairly stiff writing-paper, and write the initials on it in one continuous line. Then pin the paper to the centre of the handkerchief and stitch in the initials on the sewing machine, making the stitches as small as possible. Occasionally it is necessary to retrace part of an initial when stitching, as in the letter, " C," but it is not noticeable. Irons that are put away in a cupboard or hung on hooks in the kitchen are very liable to rust. This happens more particularly to those heated over a gas flame, because of the quantity of water vapour always produced when coal gas burns. If a pad of white ironing wax is kept in a handy place, such as the drawer of the kitchen table, the iron, when partly cooled, can quickly be rubbed over it. A pad can be made by wrapping broken or odd pieces of candle inside a piece of clean muslin or old handkerchief. A small piece of beeswax rubbed over the hot iron makes it work more easily. If irons become rusty or very dirty, they can be cleaned by being rubbed with a halved potato which has been dipped into dry powdered bath-brick. It is a good plan to rub each iron on sand-paper or brick-dust when the starch sticks, so that it does not remain to be burnt on. When hot, rub the iron over a waxed cloth pad. This method is not suitable for gas or electric irons, as the use of abrasives would impair the surface of the iron, which is nickel-plated. Artificial silk jumpers require care in laundering to prevent undue stretching. If tacked flat on to a towel before being washed, and spread on a flat surface to dry, a jumper will not lose its shape. When dry, it should be pressed with a warm iron before it is untacked from the towel. Lightness of touch and gentleness in handling are necessary Prepare a soapy lather, comfortably warm for the hand, and add a little powdered borax if the water is hard. Squeeze the Shetland very gently in this and work it up and down with the hands, but on no account wring or twist. A second soapy water may be required, if the jumper is much soiled. When clean, rinse in water of the same temperature until free from soap. If white, a very little blue may be added to the last rinsing water. Squeeze out with the hands, put the jumper between the folds of a towel, and beat to extract the moisture, or the thicker wools may be put carefully through a wringer. Then pin out the jumper to the desired shape on a sheet spread on the floor, or on an ironing table, using plenty of pins. When dry, shake out, and air. A sure method of restoring the colour to white crochet or lace that has become yellow from disuse is to place it in a thick neutral soap-suds that has been made rather blue. Boil for 1o or 15 minutes, rinse thoroughly, and hang in the sun to dry. Treated in this manner, lace articles that have been laid away will look like new. Shake it gently and brush with a soft brush to get rid of as much dust as possible. Then soak it in deep blue water in which gum arabic has been dissolved, in the proportion of I teaspoonful to I pint of water. The gum arabic will give a slight stiffness to the lace, while the blue will improve the colour. If silk lace is being treated, I teaspoonful of methylated spirit may be added as well, to give a gloss. After soaking squeeze the lace gently and shake it out, and spread smoothly between the folds of a towel. Beat with the hands and then leave until slightly dry. Iron between two folds of white kitchen paper, keeping the smooth side of the paper next the lace. Black lace must never be touched with the bare iron. Sheets and pillow-cases can be kept a better colour if a little boiling-water starch is added to the blueing water. The starch water improves the appearance of both cotton and linen by giving a smoother and more glossy surface, which does not soil so readily. Moreover, dirt is more readily removed from slightly starched fabrics than from unstarched. A perfectly simple and easy method of bleaching linen is as follows : Soak the linen overnight in cold or warm water. Prepare a copper with sufficient water, using 4oz. washing soda to a gallon of water. Boil the linen in this for two hours. Rinse and dry out of doors. Repeat the boiling process for two hours, using fresh soda-water ; rinse thoroughly in cold water. Wring through the machine. Prepare sufficient bleaching solution, by mixing 1 part of a good bleach to 1o parts of cold water. Leave the linen in this for twelve hours, seeing that all parts are immersed. Rinse in warm water. This completes the bleaching process, but to ensure that every trace of the solution has been removed from the fabric, treat it exactly as though it was soiled -wash, boil, rinse, blue, and dry out of doors. 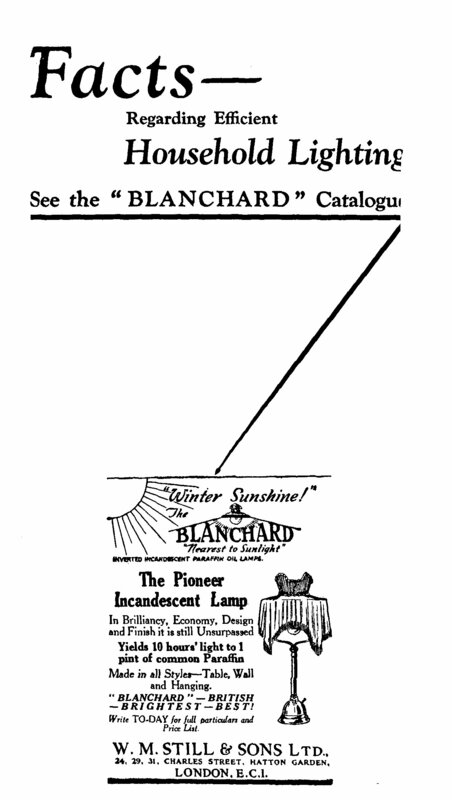 It may be necessary if the linen is required absolutely white to repeat this process once or twice. Given a bright, windy day, it is quite possible to wash pillows without first removing the feathers. Prepare plenty of warm soapy water, adding z tablespoonfuls of turpentine to a gallon of water. Wash the pillows by kneading and squeezing, or with a suction washer, until no more dirt comes from them. Rinse in plenty of warm, soft water, and hang to dry in a windy spot in the garden. The pillows can be suspended to a clothes-line or tree by tying one comer of the tick with string. Shake from time to time whilst drying to prevent the feathers becoming matted. A simple way of washing heavy rag rugs is the following: Soak the rugs for five minutes in cold water, then spread them on a bare floor and spread lightly with soap jelly. Scrub the rags until they are clean with a clean broom dipped in hot water. Rinse thoroughly in dear water in the laundry tub and hang on the line to dry. In hard-water districts the collection of a small quantity of rainwater is well worth while for the washing of woollens and coloured things. If the tank is provided with a wooden cover, the water is kept free from dust and smuts. In towns, where the roofs are dirty, the water should be strained through two or three thicknesses of muslin before being used for the laundering of light-coloured garments. Less soap is required to obtain a a lather with rain-water than with ordinary tap-water, so where possible housewives are urged to collect it. This fabric should be ironed dry and on the wrong side-if ironed damp like other silk, it will feel hard and have a mottled appearance. If the colour becomes too light with washing, it may be restored by rinsing the silk in water coloured with a little clear tea, or in water in which a little hay has been boiled. it is to dissolved. When the silk is nearly dry iron it on the wrong side with a moderate hot iron. For dark silks use gum water in the same way. Artificial silk requires special care in laundering. As with silk and woollen fabrics , hard soap should not be rubbed on, but should be dissolved in the water before the material is put in. It is very n o use a pure soap containing no free alkali, and the washing should be done by a gentle kneading and squeezing action. After thorough rinsing, pass the garment through a wringer or roll it up tightly in a Turkish towel. Owing to the fact that artificial silk fibres are more fragile when wet, they should not be twisted in wringing. SOAP ECONOMY Many people appear to think that the more soap and soda they use for washing purposes the better the cleansing action. This is quite a wrong impression, and careful experimental work shows most clearly that excess of either quite definitely hinders, rather than helps, cleansing. A 1 per cent., or even slightly weaker, soap solution gives quite the best cleansing effect with London tap water. This is approximately equivalent to 1� grains to a gallon. For a soft water half this quantity of soap is sufficient. It is an economy to add a little soda to soften hard water when washing cotton or linen fabrics. If starch is required and boiling water is not obtainable, cold-water starch diluted to about the same extent as hot water starch will be found perfectly satisfactory for all purposes for which the latter is usually used. Garments starched in this way should be made damper than usual before ironing, and the iron must be very hot. A few drops of turpentine added to cold-water starch prevent the iron sticking and give an even gloss to collars and chintzes. After using cold-water starch, allow any remaining to stand in a basin overnight, when the grains of starch will settle to the bottom, leaving the water on top. Pour this off and leave the starch to get thoroughly dry. When all trace of moisture has evaporated the starch powder may be returned to the tin for future use. Rice water makes excellent starch for table linen, blouses, muslin collars-in fact, anything that requires to be moderately stiff. Stiff linen collars and cuffs must be starched with ordinary laundry starch. Cretonne sunshades or even those of silk, provided the fabric is not rotten, can be cleaned successfully with soap and water. Open the sunshade and have ready a basin of warm soapy water, a piece of hard soap and a soft nail-brush. Moisten the sunshade, and commencing at the centre and gradually working down to the edge, use the nail-brush, on which a little hard soap should be rubbed, to clean specially dirty parts. So that the bathroom towels should not be cut, when drying safety and other razor blades, a small towel or cloth should be hung near to the shaving mirror, for the use of the menfolk in the house. A small piece of chamois leather, taped and hung on the small nail, will be much appreciated for polishing the blades after drying them. To prevent wooden washing tubs from shrinking and the iron bands from falling off, they should be filled half full with water. The water travels up the wood, keeping it moist ; in very hot weather it is wise to fill them completely. Cover your tubs to keep them clean, and where there are young children cover with some heavy object or boards so that an accident will be impossible. Wooden rubbing boards should be soaked occasionally to prevent shrinking and cracking. Cool down a second lot of soapy water and repeat the process. Do not spare water or soap. Rinse in plenty of water of the same temperature, made just slightly soapy (unless it is soft water, when this is not required). This keeps the wool soft without being soapy. Rinse twice. Pass through wringer two or three times, the last time wrapped in a towel-this partly dries it. 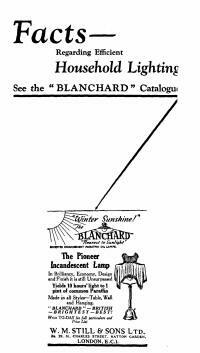 To dry: Spread a cloth on the ground, lay the small garment on this, and dry in a good current of wind, or indoors on a flat surface. This is important, and one is well repaid the extra time entailed pulling and patting into shape. Turn carefully. Air on a flat surface. Avoid hangers, hooks, and lines. When quite dry, brush up, using the teazle brush with a light upward flick. New Welsh flannel may be rendered soft in texture and creamy in colour by washing in warm soapy water, and then by the spreading on of the following mixture: Make a soap jelly by dissolving � lb. of yellow soap grated :finely in one quart of boiling water. This should be allowed to get quite cold, and should then be spread in a thin layer over the flannel and left overnight. In the morning the material should be washed by the usual method to remove all trace of the jelly. 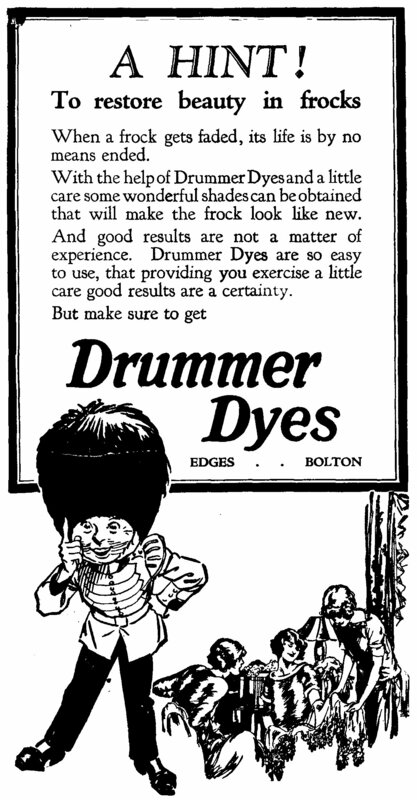 If the flannel is a particularly deep green in colour or harsh in texture, the process may have to be repeated. In spite of every care being taken, these have often a tendency to shrink when washed. A solution of the problem is to slip them on to wire hose-driers while still wet. These can be had in various sizes, they keep the hose in shape, and when dry they will be as comfortable to wear as when new. This can be a great help in baking. Food in the oven can be kept from browning too much by putting one or two sheets of asbestos paper over it, and there is no danger of it burning as ordinary paper does. If the bottom of the oven is too hot, a piece of asbestos paper can be slipped under the baking tin. Asbestos mats are also useful; they can be slipped under a saucepan on the top of the stove to reduce heat and prevent the contents burning. It sometimes happens that small cakes and tarts are sufficiently cooked at the bottom before the tops are browned. If a piece of asbestos board is placed beneath the baking-sheet whilst the cakes are finishing, there is little risk of the bottoms becoming burnt. If fireproof pans and casseroles are placed on asbestos there is little chance of breakage. Try sprinkling two or three tablespoonfuls of orange or lemon juice over the apples. This gives a delicious flavour and is an immense improvement to apples that are inclined to be dry and tasteless. Weigh out z oz. tartaric acid, z oz. carbonate of soda, and 4 Oz. ground rice or rice-flour. Mix these together and pass them twice through a fine sieve. Store in a paper-lined tin, or in a glass jar with a stopper. Keep covered and in a dry place. Use breakfast biscuits crushed to a fine powder. They will be found much lighter than ordinary breadcrumbs made from white bread. Try them when coating fish, making stuffing, apple charlotte, a cheese souffle, breadcrumb pudding, etc. They are easily prepared, and when cooking for an invalid are strongly to be recommended on account of their digestibility. Spread them out on a tin and place them in a warm oven for a few minutes. Then cool them off on a wire stand or sieve, and they will regain their original crispness. Dip them in a little milk and heat them gradually in the oven. Butter them while hot and they will be delicious. When cutting a large quantity of bread and butter or sandwiches, pour � pint of boiling milk over I lb. butter in a basin. Cool slightly and then work together with a wooden spoon until of a creamy consistency. This will spread easily on the bread and go farther than solid butter. Half a cupful of butter is occasionally given in recipes. The quickest way to arrive at this is to fill the measuring cup half full of water, and then to drop in the butter until the water rises to the top. Drain this off, and half a cupful of butter will remain. This takes far less time than to pack the butter down into the cup; it also saves butter, as none will be left sticking to the sides of the cup. Other fats can be measured in the same way. see that the water does not evaporate, or the butter float. If it does so, put a heavy weight on the top to keep it under the brine. Second Method.-Have the butter made up in I or � lb. pats and wrap each one in apiece of muslin. Pack the pieces in ajar between layers of salt, and fill up with cold water that has been boiled. A 7-lb. jar is good for the purpose, as the narrow neck helps to keep the butter down. Tie down with greaseproof paper and store in a cool place. The advantage of this method is that the butter can be easily lifted out as required, and when the muslin is removed it is ready for use. Butter preserved by either of these methods will keep good for months, and will be found delicious. When a level cake is required for icing, a slice has often to be cut off the top. To prevent this waste, make a hole in the middle of the raw cake mixture before putting it in the oven, raising it up round the sides of the tin. Place the cake in a good oven, and as the middle rises first, the cake will have a nice flat surface by the time it is cooked. It is not generally realised that it is quite unnecessary to grease the tins in which pastry is cooked, as the pastry itself contains sufficient fat to prevent its sticking. The colour of plain fruit cakes can be improved by the addition of a small quantity of cocoa essence. 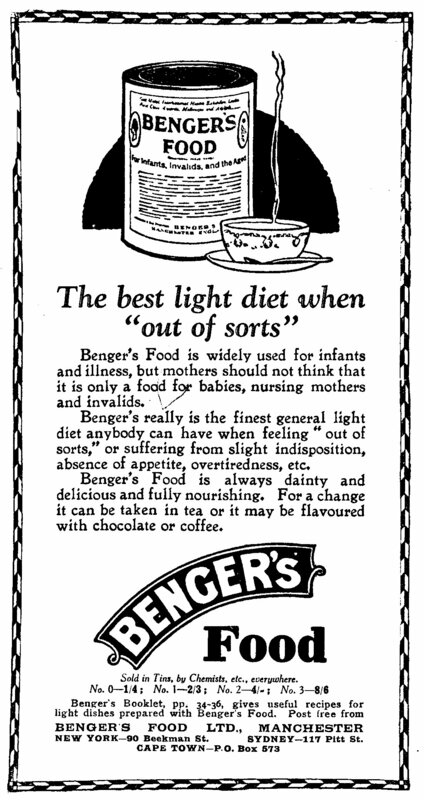 About half a tablespoonful to I lb. 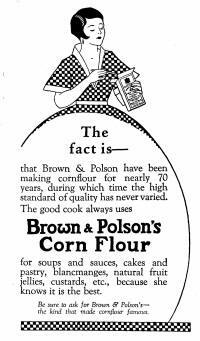 of flour answers this purpose, but is insufficient to impart a chocolate flavour to the cake. When baking a large cake in a small oven, it is a good plan to pin a band of thick paper round the outside of the tin about 2 inches deeper than the tin itself. As paper is a bad conductor of heat, this helps to prevent the cake from burning at the sides. Imparts the flavour of celery, and is therefore of great use as a flavouring when the fresh vegetable is unobtainable. For about 3 quarts of soup, tie a small teaspoonful of the seeds up in a scrap of clean muslin, removing the little bag before serving the dish. Never use them loose, as they are too small to strain out, and resemble black specks in the food. Fill a kettle with fresh, cold water, and put it on to boil. Use an earthenware or china coffee-pot, and heat it thoroughly. Over the top of the pot place a square of butter muslin, letting it sag in the middle. For three cups of coffee, put into the muslin three level dessertspoonfuls of coffee. When the water is boiling fiercely in the kettle, pour it through the coffee slowly until three or four cupfuls have gone through. Cover the pot and take to table at once. Wash the cloth immediately after use and keep it in a jar of cold water, never permitting it to get dry. It must be kept perfectly sweet. If these directions are followed explicitly, excellent coffee will be the result. To prevent cheese going mouldy moisten a piece of muslin with vinegar, wrap it round the cheese, and store in a dry place. By cutting in long strips and putting it in a screw-top glass jar cheese will keep fresh for a considerable time, and may be kept in the refrigerator without imparting its flavour to other food. Small scraps of cheese need not be wasted. They should be grated or finely chopped, and if put in a bottle and tightly corked will keep good for some time. This grated cheese can be used in many ways-for sprinkling into soup, for making " au gratin " dishes, sandwiches, savouries, and omelettes. The remains of soft cream cheese can also be utilised for making sandwiches or savouries, if there is added to them some extra cream and more seasoning or flavouring, such as anchovy or shrimp paste, chopped pickles or nuts, small pieces of cucumber, or beetroot, etc. This mixture does very well for filling hard-boiled eggs, or for piling on little biscuits as a savoury. When cooking baked custards, considerable difficulty is often experienced in reducing the heat of the oven sufficiently to prevent curdling. Custards should always be cooked in a cool oven, and as a further precaution, they should be stood in a piedish in a baking-tin containing at least one inch of water. When cooking boiled custards, if a double saucepan is not used, the custard should be cooked in a stone jam jar or jug standing in a saucepan of boiling water. It should be stirred until the mixture thickens. Strain new, warm milk into a shallow pan 8 or 9 inches deep. Leave in a cool place until the cream has risen-12 hours in summer and 24 in winter. Then remove the pan to a stove and heat the milk slowly by steam or on the side of the range. The heating must be done very gradually, not less than � hour being allowed, and the temperature must not exceed 176� Fahr. When the process of scalding is completed, transfer the pan of milk to a cool place, or stand it in cold water. Natural cooling is best, as the cooked flavour that is wanted in Devonshire cream is then better retained. When quite cold, skim off the cream into tins or pots. One gallon of fairly rich milk should produce I lb. cream. Cracked eggs can be boiled without the loss of any of the egg if the following method is adopted: Add a tablespoonful of salt to the water in which the egg is boiled, rub the crack well with common salt, and put the egg at once into the fast-boiling salt water. The white of the egg will not ooze out nor the crack become larger. If there is storage accommodation, it is a good plan to buy eggs when they are cheapest, and preserve them for use during the winter when they are very much more expensive. The eggs must be fresh and clean. Put them into a large jar or other receptacle, and cover them entirely with water-glass solution. A gallon jar will hold from 3 to 4 dozen eggs, and from 3 to 4 pints of the liquid. Water-glass can be bought at almost any of the large stores, and should be diluted according to directions given, boiled, and then cooled before being used. Cover the jar closely to avoid evaporation, and store in a cool place. The water-glass coats the eggs and makes them less porous, thus preventing bacteria and air entering the shell. the edge. Place the eggs in the holes as quickly as possible after the time they are laid. When yolks of eggs are left over, just cover with cold water and they will keep quite fresh until the following day without a skin forming. removing the fish fish from the kettle, also preventing waste and unsightly food caused by the fish adhering to the cloth and breaking into small pieces. Dry them and leave them between the folds of a cloth for several hours, or overnight. Dip them in seasoned oatmeal. Fry in a very small quantity of fat, and they will not splutter and splash. Line the baking-tin or dish with a piece of strong, white paper, greased with a little oil or butter. Lay the fish with any accessories on the top of this, and you will find that it is easily removed when cooked. Also, when the paper is slipped out the tin or dish is left comparatively clean and can be washed without the usual scraping. The smell of fish is particularly obstinate to .remove from cooking utensils. These should be washed as soon as possible after use in lukewarm water to which two tablespoonfuls of salt have been added. If they are then rinsed well in clean water and dried no smell should remain. Knives and forks that have been used for fish should be rubbed with the rind of a fresh lemon after washing. It will be found that no flavour or smell of fish will then remain. Cut them into small pieces, removing all discoloured parts. Put them into a strong saucepan with cold water to cover, and boil until all the water has evaporated, being careful to remove all scum as it rises. Now draw the pan to the side of the fire and stir the contents frequently. Cook more slowly until the membranous part of the fat becomes brown and shrivelled and the liquid that has oozed out is a clear oil. Cool slightly strain through muslin or a fine strainer. When cold the liquid will be in a hard white cake, and will be found excellent or frying and other purposes. The best time to pluck poultry is when the bird is newly killed and before the flesh has time to stiffen. Place it on a large sheet of paper and commence with the wings, leaving the breast to the last, as it is the most tender. Pluck out the feathers from the tail upwards, giving them a sharp, backward pull. A small knife may be used to pull the stronger feathers from the wings. Although it is best to pluck poultry dry, sometimes it is a help to dip the bird, or parts of the bird, in hot water for a minute ; but this must be done with caution or the skin will be softened too much. When every trace of feather has been removed, singe any off any hairs or down with a lighted taper, or over a gas jet. Grilling on a gas cooker often causes an unpleasant smell. 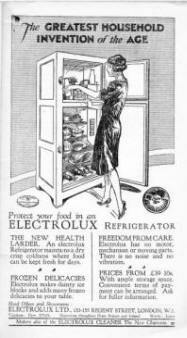 This is due to the burning of the fat which has splashed on to the grid during the everyday use of the stove. A good plan is to remove the grid, wash it in strong soda-water, and replace it only when grilling. When making a packet jelly, try using ginger ale instead of water. Dissolve the jelly in all quantity of water then make up the quantity of liquid with ginger ale. When served with whipped cream, the jelly has just a little pleasing sting in it, but not enough far anyone to guess how if has been made. An attractive garnish for cold meats or salads may be made by rolling tightly. several large lettuce leaves and keeping them in a cool place until needed. When ready to serve, cut the roll into�-inch pieces, and pretty, light green rosettes will be the result. These add greatly to the appearance of the dish. This can very easily be made at home. It is useful for all slow cooking and saves fuel. It will also keep food or water hot. Select a wooden, box considerably larger than the saucepan you intend to use, and have a lid to fit it. Line the bottom and sides with a thick padding of newspaper, and fix this in position with small tacks. Then fill the box with perfectly clean and dry hay, and press the saucepan into it, so that it forms a nest for itself. An earthenware marmite, or a saucepan with small side handles, or a top handle, is the most convenient kind to use. There should be at least 3 inches of hay all round the saucepan and more at the bottom. Make a thick cushion to cover the top of the box, under the lid, stuffing it with hay. When the box is in use, the lid should either be fastened down or a weight should be put on the top of it, to keep it firmly in position. The hay should be removed when it becomes soiled. A larger hay-box to hold two saucepans can be made in the same way, but there must be a good division of hay between then or, preferably, a wooden partition in the box. Two separate cushions will also be required. I. It is only suitable for slow cooking-the cooking of cereals, soup, stewed meat, stewed fruit, etc. 2. The cooking must be started on the fire, and the saucepan put boiling hot into the hay-box. 3. If the preliminary cooking has been done over a fire, care must be taken that there is no live cinder sticking to the bottom of the casserole. 4. More time must be allowed than for ordinary cooking. 5. If porridge is left in all night, it will only require re-heating in the morning. 6. Boiling water put in at night will be hot enough for washing with in the morning. 7. Keep well covered, and do not remove the lid to see how the food is cooking. 8. Put in a meat stew and leave it several hours; it will be ready when you require it. Pick them in the early morning, and select those that are full grown, but before they have reached the flowering stage. Cut off the roots and wash them thoroughly to get rid of any trace of dust. Then shake out and spread on a sheet of blotting-paper spread on a baking sheet or tray. Dry in the sun, protecting them from dust with a piece of muslin, on the rack above the fire, or in a slow oven with the door open. The temperature of the oven must not be over 120� Fahr. When there is no trace of moisture left in the herbs rub them to powder with the fingers and pass them through a sieve. Keep in a wide-mouthed bottle with a good cork, or in a tin box-paper or cardboard is useless. 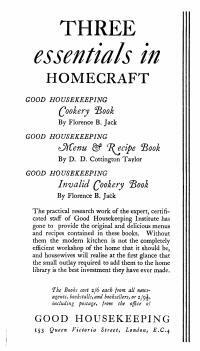 It is often necessary to cool jellies, blancmanges, etc., quickly, and when ice is not available the mould or basin may be stood in water containing equal parts of common salt and washing soda in solution. Sufficient should be added so that just a little is left undissolved. Other chemicals which make a good freezing mixture are ammonium nitrate and washing soda, in equal parts. Even although the greatest care is taken, it is sometimes difficult to turn out a mould in the centre of a serving dish. Try the following plan: pour cold water over the dish on which the jelly has to be served, shake off as much water as possible, then, if the mould fails to fall in its proper place, it is an easy matter to slide it into position. Difficulty is sometimes experienced in getting jams of all kinds to set. This is generally due to one of two reasons ; either by using over-ripe fruit (the choice of slightly under-ripe fruit for jam is therefore advised) or by the fact that the fruit is not cooked sufficiently before the addition of the sugar. Instead of tying covers on the jars, dip a round of strong greaseproof or parchment paper into milk, and while the jam is still hot stretch over the top and work round the sides of the pot. When cold, the cover will adhere firmly. Put another yolk of egg into an empty basin, and add the curdled sauce gradually to it, in the same way that oil is added in the first instance, stirring all the time. It is not generally known that the whites of the eggs can quite well be used up in the making of this sauce. When the sauce is quite finished, whip up one or two whites of eggs to a very stiff froth and mix them in very lightly. They will make the mayonnaise of a nice creamy consistency, and there is no danger of them separating. Mix a little oil and vinegar together in the proportion of one part vinegar to two parts oil. Put the meat on a dish, pour the oil and vinegar over, and stand for several hours, basting occasionally. When choosing meat its colour is an important factor. Good beef, freshly cut, is a rich deep red. Veal ranges from almost white to a dull pinkish hue, and lamb should be a delicate red. Pork is best when a pale brownish pink, or even nearly white, in young pigs; whilst mutton is a dull brick-red if freshly killed; if well hung-a great point in its favour-the cut surfaces are darker in colour. Veal and lamb, being young meat, have less flavour and nutriment, and are more difficult to digest than meat from mature animals. Also, they sour very rapidly. All meat, but beef especially, is nicest when well marbled with creamy-white fat, and all should have a firm, smooth, fine grain, or fibre. Both these signs are indications that the meat is likely to be tender-a matter of utmost importance. So also are the colour and texture of the bones. If these are reddish in colour, and comparatively soft and pliable, the joint is from a young animal. The opposite is the case if they are white, hard, and dense. Use a little milk and add a pinch of salt. The mustard will keep a better colour and not dry up so quickly as when made with water. To make fried onions more tender, slice them very thinly, put them into a frying-pan with a little fat, and just cover them with cold water. Boil quickly until the water has evaporated and then fry until brown. The odour of onion and fish can be removed from a frying-pan by scalding a little vinegar in it ; afterwards wash in the usual way. This is specially essential when omelettes are made in the frying-pan used for other purposes. So delicate is the flavour of an omelet that if possible a special pan should be kept for omelette making. To minimise discomfort when peeling onions, place them in a pan and pour boiling water over them. If they are peeled at once they will not cause your eyes to smart or water. When making a fruit compote or salad, try soaking the oranges first in boiling water to cover, letting them stand five minutes. You will find that the white pithy part will come off quite easily with the skin, and the orange is left clean for slicing. I. The pan should be seasoned, that is, it should be heated well with a tablespoonful of salt in it and then scoured, using soft paper. clarified. This is done by melting the butter in the pan and skimming off the curd before frying the omelette. To one tablespoonful of brown sugar add two tablespoonfuls of milk. Boil them together until the sugar is dissolved and then cool. Brush over the pastry with this before putting it in the oven, and it will produce a beautiful brown crust. Allow the potatoes to lie in hot water for fifteen minutes before baking. This not only improves the flavour, but reduces the time required for baking by one-half. If crisp and brown potatoes are wanted, brush them over with melted butter or dripping before putting them in the oven. To enjoy the full flouriness of well-cooked potatoes, drain off all the water in which they have been boiled and gently shake the pan over a low heat for a few moments. Cover for a few moments with a folded cloth, which will absorb all superfluous moisture and leave the potatoes perfectly dry and floury. Old potatoes, even when most carefully boiled, sometimes look discoloured and rather unappetising. If a squeeze of lemon is added to the water in which they are boiled, they will retain their whiteness and are considerably improved. Puddings that are boiled in cloths are very liable to stick to the bottom of the saucepan. This can be prevented if one or two lids from golden syrup tins or a round pastry cutter is placed on the bottom of the pan. The middle cut is the most expensive, the head and shoulders being the least costly. The latter part contains far more flesh than many imagine, and is well worth buying. Against the cost per lb. of this fish must be taken into account its high food-value, also that its firm consistency makes a small helping of it quite sufficient. Silver or plated fish-servers should be used. Care must be taken to serve as little bone as possible, and not to break the flakes more than is necessary. The fish should be placed on the table with the thick part farthest from the carver, then cut across in fairly thick slices right through to the bone. When the top side is finished, the bone should be gently raised and the underside carved in the same way. When using delicately flavoured foods for sandwiches, it is a good plan to beat up the butter to be used with chopped parsley or cress. This gives an added piquancy of flavour that is much appreciated. In warm weather it is a good plan to wrap picnic sandwiches either in a damp cloth or in damp, greaseproof paper. By this means they may be kept moist all day or overnight when picnickers wish to set out early in the morning. Can be utilised as follows : Make a batter as you would for pancakes and let it stand for half an hour. Dip each sandwich into the batter, turning it over in order to soak it well, then fry to a golden brown in a small quantity of fat. 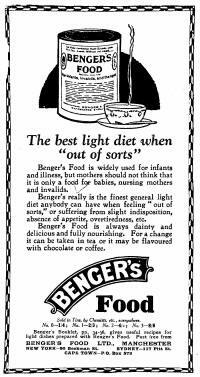 No matter how dry the sandwiches may have been, they will now make a delicious supper dish. White of egg slightly beaten, or raw beef finely chopped, may be used. Remove all fat from the stock and put it into a saucepan, allowing the white and shell of one egg, or � lb. 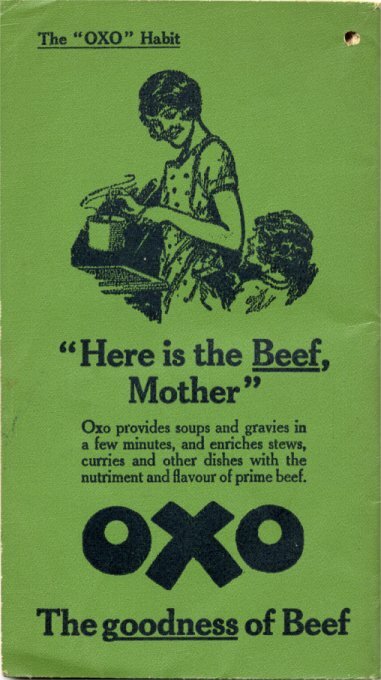 lean beef, to each quart. Place on the stove and beat with a fine whisk until it reaches boiling-point; then remove whisk and let stock boil up once. Then place it at the side of the stove and keep it warm, without boiling, for ten minutes. Strain through a jelly-cloth and re-heat as required. 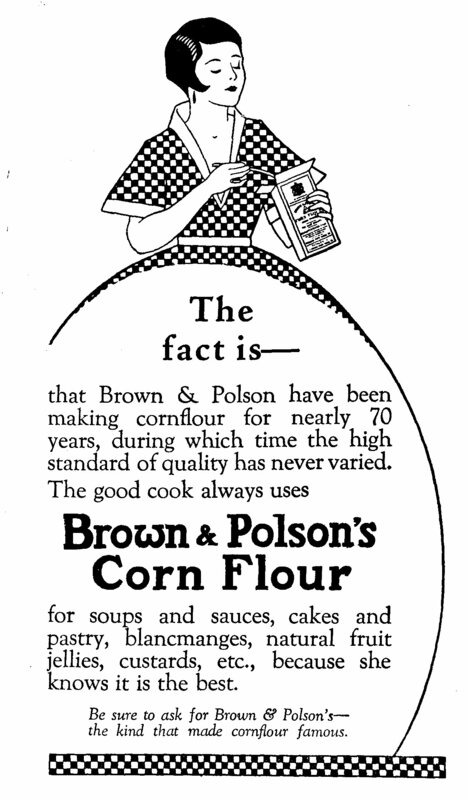 If the scale pan be well floured before use, syrup may be weighed without soiling the pan. Dip the spoon or cup into boiling water before using it, and the syrup or treacle will run out of it quickly. TO PREVENT A SWISS ROLL FROM CRACKING Remove from the oven and turn the contents of the baking-tin on to a clean, damp cloth. Trim the edges, spread with jam and roll up quickly in the usual way. The moisture on the cloth is sufficient to prevent the roll from cracking, provided it is not overcooked. Put some castor or granulated sugar on a plate or sheet of stiff paper and sprinkle a few drops of liquid colouring on the top. Mix this in with a palette knife until an even tint is obtained. Leave to dry, and then keep in a covered jar or bottle. When making sweets and confectionery it is often necessary to know the different stages of sugar boiling. When sugar and water are boiled the temperature gradually increases until the character of the sugar is changed and it becomes caramel. Overheating causes caramel to burn and char. THREAD DEGREE-228-235� F. If a little syrup at this temperature is pulled between the thumb and finger it forms a thread. BLOW-240� F. The syrup is thick and bubbles rapidly. FEATHER-245� F. If at this temperature a little of the syrup is removed with the handle end of a skewer and blown, fine feathery particles are formed. BALL-250� F. If a little of the syrup is dropped into cold water and worked with the fingers, it makes a soft ball. CRACK-If the syrup is heated until a temperature Of 310� F. is registered, and a little dropped into cold water, it becomes hard and brittle. CARAMEL-330-360� F. The sugar changes to caramel, the colour of which changes from golden yellow to dark brown as the temperature increases. A very delightful flavour can be given to tea by putting the thinly peeled rind of an orange into the tea caddy. Cover with the tea and close down for an hour at least. Stir the tea about before use. Always remove the skin and bone from fish while it is still warm; they come away easily then. If boiling water be poured over raisins that are to be stoned, the fruit will plump out and the stones may be easily removed. When brown stock is needed for some dish and none is handy, dissolve a little meat extract in water and use this instead. Potatoes mash smoothly and quickly if hot milk is used instead of cold. The following scale of temperatures will be found useful. Tomatoes, apricots, etc., for summer salads may be quickly and easily peeled if they are dipped for one minute in boiling water before the skin is removed. the leg from the body. Cut the meat from the leg in slices, but do not serve the bone. Then carve the same side of the breast in long thin slices, and include a portion of leg, breast, and stuffing in each helping. To carve the other leg, turn the bird on to its cut side, and gently draw the leg upwards with the fork, whilst feeling for the joint with the point of the knife. The breast can then be cut in slices in the same way. If the wing-bones and oyster-cut are not required, they should be left intact, as they taste sweeter cold than hot. Sometimes it is discovered at the last moment that the bird is too big for the oven. When this is the case, it is quite a good plan to remove the legs very neatly with a sharp knife and to roast them separately. The cut part of the turkey should be protected with greased paper when cooking. Before taking the turkey to table the legs may be refixed in position by small wooden skewers. Keep a pair at hand in the kitchen; they are useful for drawing out the small pin-feathers in chickens. A pair of tweezers with broad ends are better for the purpose than the pointed kind. Plunge green vegetables into boiling water containing salt, and add vinegar or lemon juice to the water in which white vegetables are cooked to preserve the colour. With the exception of spinach, cook all green vegetables with the lid off the saucepan. 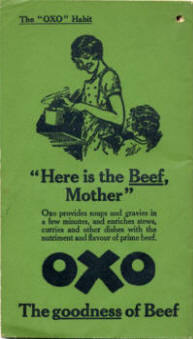 A lump of sugar put into the water in which green cabbages and peas are cooked improves their flavour. This applies equally to dried as well as to fresh peas. Serve vegetables as soon as the cooking is completed. Many of them spoil if kept standing. DRIED VEGETABLES If dried peas and beans are soaked overnight in water containing a small quantity of sodium bicarbonate--� teaspoonful to a quart of water-the length of time required for cooking is considerably reduced. Also, if a very little sodium bicarbonate is added to the cooking water, the colour is improved and the time of cooking again reduced. To further retain the goodness of dried vegetables they can be steamed instead of boiled. Soak overnight in water with a small quantity of sodium bicarbonate, as above. Their colour is improved if a very small quantity of ammonium carbonate-not more than a piece the size of a small pea to a quart of water-is put into the boiling water at the same time that the peas are placed in the strainer. The lid should be put on immediately. If the ammonium carbonate is placed in the water before the vegetables are ready, no benefit will be obtained, as ammonia, being volatile, soon loses its strength. Potatoes.-When only a small quantity has to be stored, put down a layer of straw in a dry place under cover. Spread out the potatoes on this and cover them entirely with a good layer of straw. In the event of severe frost increase the quantity of straw. Carrots and Beetroots.-Put a layer of straw in the corner of a dry shed, and cover this layer with sand or dry soil. Arrange the roots on this in a single layer, and cover with more sand or soil. Arrange the roots on this soil. Repeat the layers until all the roots are covered. Then spread a layer of straw over the top to protect the roots from frost. Parsnips and Artichokes.-These should be left in the ground as long as possible, then store in the same way as carrots. Turnips.-Spread out on a dry floor or on a bed of straw in a dark cellar. Mix the necessary flour, eggs, salt, and a small quantity of milk to a very thick, smooth paste, and then add the remainder of the milk made very hot in a saucepan. Bake the puddings, if possible, in fairly small round tins, and you will find they will puff up to the top of the tins and be delightfully crisp and light. By mixing in this manner less eggs are required. �d. measures I inch in diameter. 1d. measures one-tenth of a foot. Half-a-crown weighs � an ounce. 3d. weighs 1 ounce. 13 pennies weigh � pound.